The Lincoln Motor Company was one of America’s great luxury symbols of the 20th Century. It grew from an aircraft engine maker during the First World War to become the car of presidents. The jaw-dropping Continental concept revealed earlier this year is a clear indication that Lincoln plans to build on its history and recapture some of that luxury magic. While the image of a powerful Continental thundering over a tony Westchester road is certainly romantic, it does little to sell cars today. 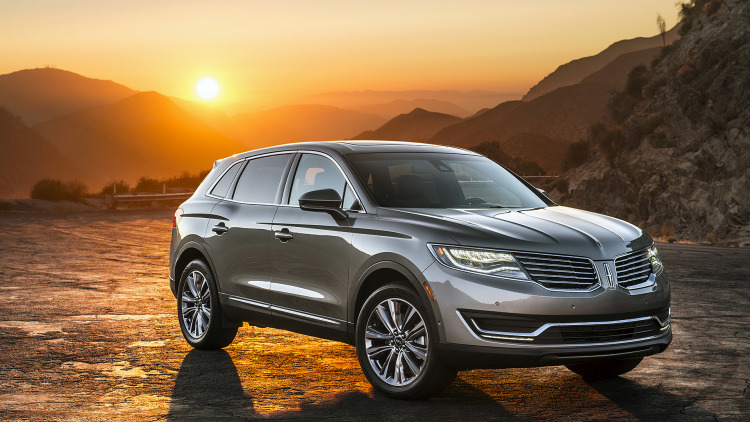 Enter the 2016 Lincoln MKX. Flagships like the Continental are great, but Americans buy way more crossovers, and Lincoln’s redesign of the MKX focuses on the needs of modern luxury customers. That means more and better safety features, a quiet interior with attractive materials, and classy exterior design. There’s also a new engine – Ford’s potent 2.7-liter twin-turbo V6 pushing out 335 horsepower – that outguns V6 offerings from Lexus and Acura. All told, it’s a tasteful redesign with some spotlight features that might turn a few more customers Lincoln’s way. The updates are intriguing, yet many of them (aside from the V6’s 380 pound-feet of torque) are rather subtle. So we grab the key fob to an attractive all-wheel-drive model decked out with the Reserve package and set out for a long weekend to absorb the new MKX. Several days of running errands around town, commuting, and a three-and-half-hour drive from metro Detroit to the northern tip of Michigan lay ahead of us. We’re going to be spending a lot of time in the MKX, so naturally, we take stock of the interior. Our tester (we photographed a different one) is done up in a cappuccino leather theme, which means brown leather for the steering wheel, armrests, and the tops of the door panels. Another chocolately strip bisects the dashboard. The rest of the cabin – the headliner, the seats, the sides of the doors, etc. – is a creamy white. We sink into the seats, which are cushy yet supportive. The headrest is like a pillow, and the plush floormats feel made for bare feet. The MKX is generally user friendly. The touchscreen works well, with little poking or jabbing. It’s complemented by redundant buttons and switches, which we like. The steering wheel controls enable scrolling through driving modes, safety features, and the interior’s appearance configurations. It’s logical, but there are a lot of layers to it, and we ran over an already-dead skunk while trying to toggle through to sport mode. That smells of over-complication. The center console cover also was a bit awkward to use initially, and Managing Editor Steven Ewing almost snapped it off during a drive to lunch. Those are minor warts on an otherwise elegant interior. The pushbutton transmission is classy, and it’s one old-school feature that’s easier to use than modern systems (sort of the opposite of a safety razor). The panoramic vista roof lets in a lot of sunlight. Crack it open and it’s the closest thing to a convertible you can get in an SUV, short of buying a used Nissan Murano CrossCabriolet. Unlike that homely Frankenstein of a Nissan, the MKX has a tailored, handsome exterior appearance. The split-wing grille is punched up with chrome and a satin inlay. It’s flanked by adaptive wraparound LED headlamps that use a blade-like layout that cuts up the side of the module. Pun intended, it looks sharp. Lincoln product development director Scott Tobin says it results in “the finest execution” of the grille to date, and we’re inclined to agree. The back is more demonstrative, with LEDs running the length of the tailgate into the rear fenders. Lincoln is spelled across the back in an elegant font. The sides have more subtle styling, with chiseled marks launching from the front fenders before disappearing into the rear door panels. There’s plastic cladding that runs along the bottom of the body and looks vaguely Subaru-esque. The low-key looks are broken up by 20-inch painted wheels and chrome accents that outline the greenhouse and body-colored door handles. It’s an attractive design with a properly executed amount of flair that’s distinctive to the brand. Anyone who knocks the style is unjustly ragging on Lincoln. The MKX has a similar silhouette to Audi and Porsche crossovers, and the enthusiast press drools over them.